Each year auto care workers, manufacturers, distributors, retailers, race teams and car enthusiasts flock to Las Vegas to attend SEMA – the Specialty Equipment Market Association tradeshow to browse the industry’s latest and greatest automotive products and services. This year, The CSI Group once again partnered with Castrol to design and execute an 80’ x 30’ outdoor booth, Castrol’s largest presence to date. They wanted to create an impressive and engaging booth that supported retailer brand training, new product releases, racing victories and, most importantly, a bevvy of celebrity guest appearances that were streamed via Facebook Live. The results were nothing short of amazing. Streaming video from an event using Facebook live allows an audience to tune in to your broadcast from their Facebook feed, wherever they may be. The videos remain long after the broadcast ends, to be enjoyed repeatedly at the viewer's convenience. 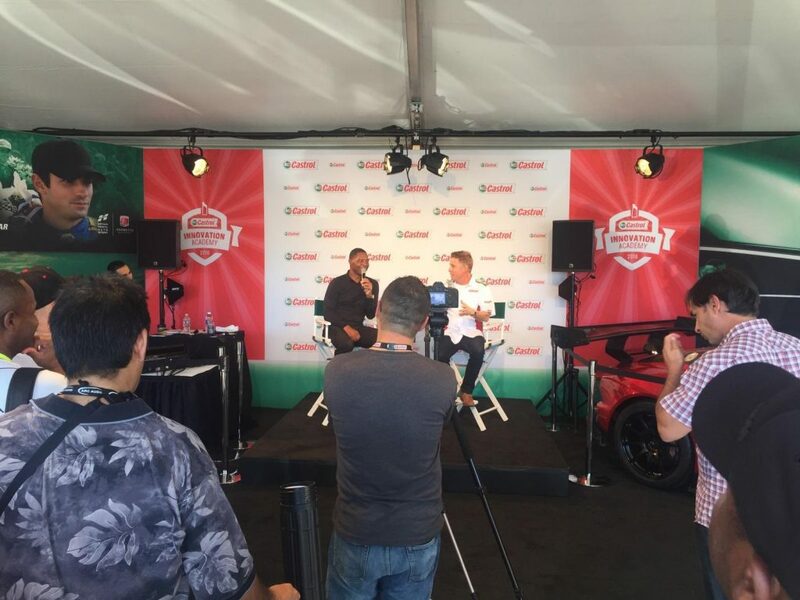 Facebook Live provided a way for people to experience the excitement of SEMA even if they were unable to attend, and gave Castrol boundless brand exposure. 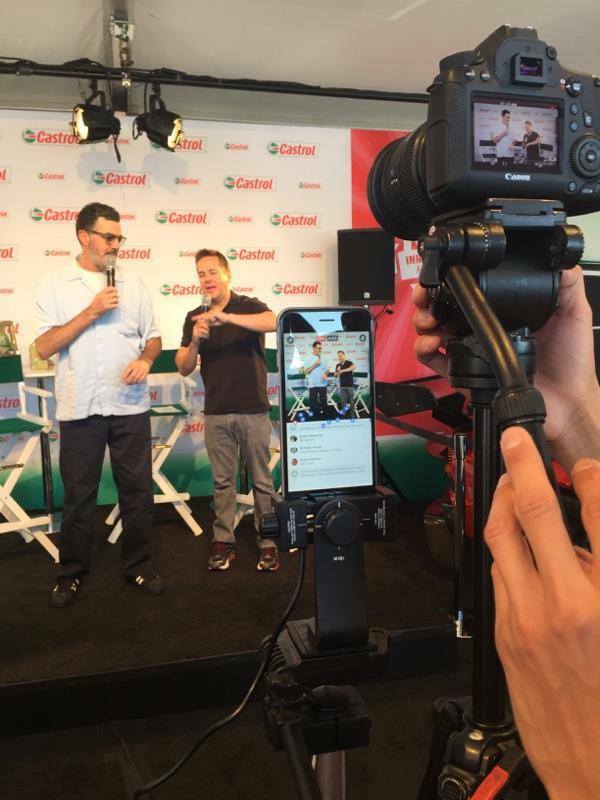 CSI produced a total of eighteen videos for Castrol featuring interviews with figures like NFL legend Marcus Allen, MotoGP champion Nicky Hayden, and 2016 Indy 500 champion Alexander Rossi, all streamed in real time onto CastrolUSA’s Facebook page. Most notably, comedian Adam Corrolla was on site to live broadcast his popular car enthusiast’s podcast, CarCast, from Castrol’s tent. While SEMA’s attendance this year was impressive – over 140,000 people – the videos gained over 400,000 views, with an extended organic reach of over 1.6 million people! By using Facebook Live, we were even able to bypass some technical challenges. Forty feet behind the Castrol SEMA booth, Ford GTs were ripping by on a drift racing track. While the smell of burning rubber and the screech of blazing tires may provide an appropriate backdrop for talking about cars, the noise proved to be a real challenge. Our team knew that we were going to have to get creative with our audio solution. Led by the expertise of Kenny Eicher, who served as technical director, we addressed the audio issue by pulling the mic feed from the mixer into the Facebook Live feed. Background noise remained present, but didn’t distract from the talent’s audio. Social media and technology are advancing, providing new avenues for brand awareness and dynamic mediums for your message. 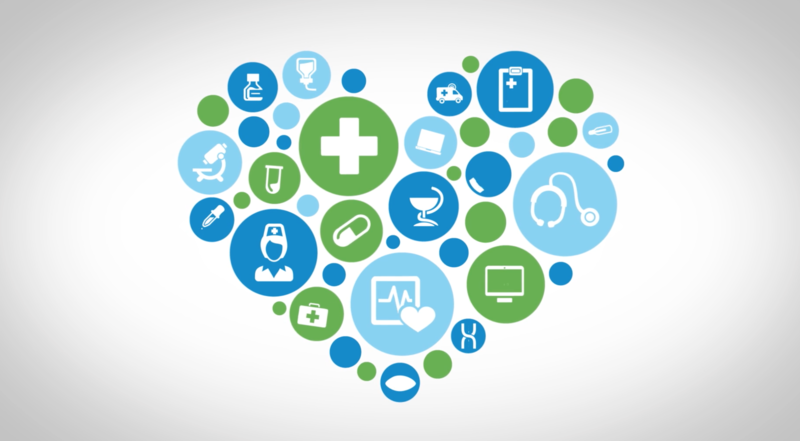 Here at the CSI Group, we’re listening… always keeping our finger on the pulse, striving for new and innovative ways to engage our client’s audiences and get results. Let us find the right approach to make sure your live event goes smoothly, contact us at hello@thecsigroup.com.